When I was little, my grandparents had a version of RUMPELSTILTSKIN that I adored. The story was strange, scary, and had these awesome ink drawings. At the time, I didn’t understand the concept that books were made by individual artists, so I never paid attention to who might have made them. They just existed — for us kids! Flash forward 20 (or so) years—after moving to Los Angeles, I had the idea to try to get into children’s illustration. 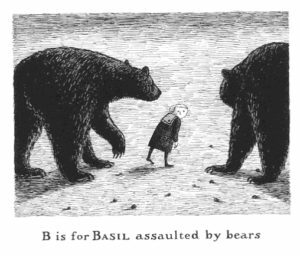 I began collecting favorite illustrators to be inspired by, among whom was Edward Gorey, who is probably best known for his cheerful ABC picture book, THE GASHLYCRUMB TINIES, which details the deaths of children (named from A-Z). 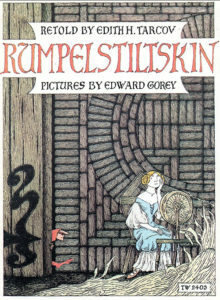 During that time, while poring over picture books at the L.A. public library, I came across that old favorite version of RUMPELSTILTSKIN from my childhood, which was retold by Edith H. Tarcov, and I was overjoyed to learn that Edward Gorey had been the illustrator! I fell in love with it again as an adult. I remembered all the details – the miller’s daughter’s hair braids, the gold straw, the creepy little man dancing around his campfire. The drawings are simply two colors (black and gold) and perfect. I’ve been inspired by this book to try my own re-telling of Rumpelstiltskin. Approaching fairy-tale re-tellings can be wonderful; they’re well-known and loved, you get to draw adults (for a change) in period garb, and the settings are wide open for the magical and weird. But they can also be tricky; they’ve been done–and done well–SO MANY TIMES that they can seem exhausted. 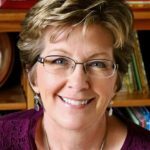 A new approach usually involve some kind of a storytelling twist, an art approach that is unique and new or just so dang beautiful it can’t be resisted. I hope I can do that. During my childhood, some books were so vivid for the imagination that they became woven into my creative fabric. This was one of those for me. Can you remember any that were like that for you? 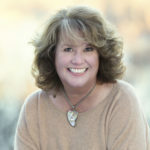 Congratulations to commenter Katrina Moore, who won my giveaway copy of THIS IS OUR BABY, BORN TODAY! 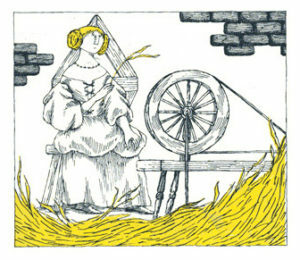 Gorey was one of my favorites as a child too. For me it was The Doubtful Guest. I often see elements in my own stories that I can tell are inspired by him. Thank you for this engaging post Eliza. How wonderful your grandparents had picturebook treasure to inspire you! My six-years-older brother introduced me to THE GASHLYCRUMB TINIES at a much more tender young age than was probably appropriate — though I continue to love that book and all things Gorey. The other graphic that totally stands out from childhood was in the “H” volume of the World Book Encyclopedia: those mylar overlays of the human body’s various systems were infinitely fascinating. I’ve only ever seen one picture book that uses mylar in interesting ways like that — it is a non-fiction, French book about cows that my kids have (LA VACHE) and the mylar is actually used in amazingly clever ways. I love Edward Gorey’s art and his ghoulish sense of humor, but I found him as an adult reader so I can’t speak to how his work might have affected me as a child. 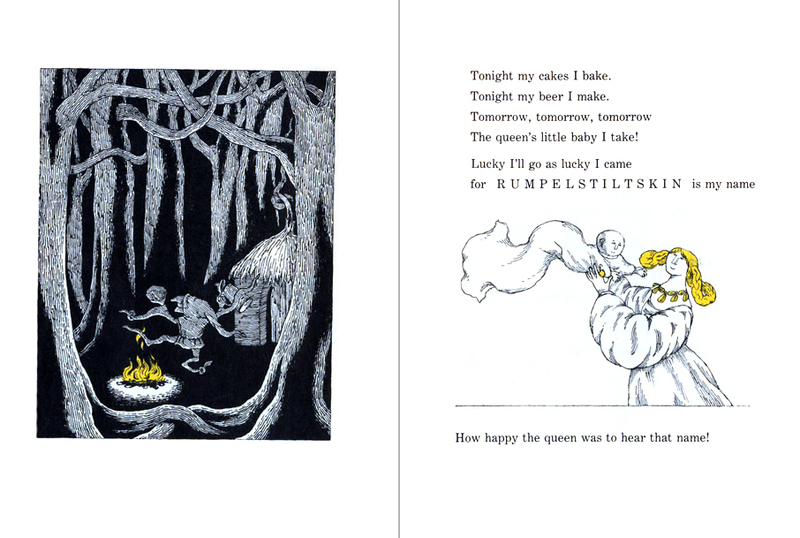 I remember reading Rumpelstiltskin when I was a child and being scared and surprised throughout the story. I loved his name and still remember a very colorful illustration of him dancing around a fire. I guess the true definition of a classic book is when you remember a scene from it decades later. Best of luck with your re-telling! I loved fairytales illustrated by Arthur Rackham–so spooky and alive. And a bit later, I was mesmerized by Fritz Eichenberg’s woodcut illustrations for Wuthering Heights and Jane Eyre (still am, actually). Very dark and foreboding. I remember reading this book as a child! And now I feel like I must go out and find a copy. For me, books that become woven into my creative fabric were more poetry collections than anything. Especially Where the Sidewalk Ends by Shel Silverstein. THE FIVE CHINESE BROTHERS was the book that stuck with me the most from childhood. We had a big book of folktales with an orange binding. Can’t recall the title, but we looked at it so often that the binding was taped together. Each story was accompanied by a full-sized illustration that sank me deep into the story. I particularly remember Three Billy Goats Gruff. Hmm. Going to have to find that book…. I don’t recall the illustrator, but I was terrified by the troll under the bridge in the The Three Billy Goats Gruff! Thanks, Eliza!